Chicago is home to an enormous endurance athlete community. 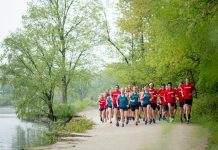 With dozens of thriving clubs and hundreds of individual races throughout the year (including the second largest marathon in the world), the city and the suburbs provide tons of opportunity for athletes of all abilities and disciplines. Everyone should have a competitive outlet, and activities such as running, biking and swimming provide easily accessible options for Chicagoans. At my company Kratos Strength Systems, we work with a wide range of athletes to make them stronger: football players, hockey players, track athletes, rowers, runners, and jack-of-all-trades weekend warriors. The general physical characteristic that is muscular strength is developed through a select handful of barbell exercises in combination with an intelligently designed program. That strength you develop carries over to all other physical attributes such as power, agility, accuracy and even endurance. Strength is the most fundamental yet often the most neglected physical attribute. In the rest of this article, we’ll consider how strength training can directly benefit endurance athletes. Every single stride requires a small amount of strength. The longer the distance or slower the pace, the less strength is required, but required nonetheless to keep moving. 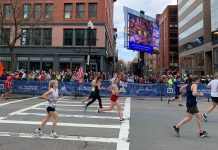 Consider this example: Rob the Runner is doing a marathon and has to produce .1 pounds of force with each stride to keep himself going forward. 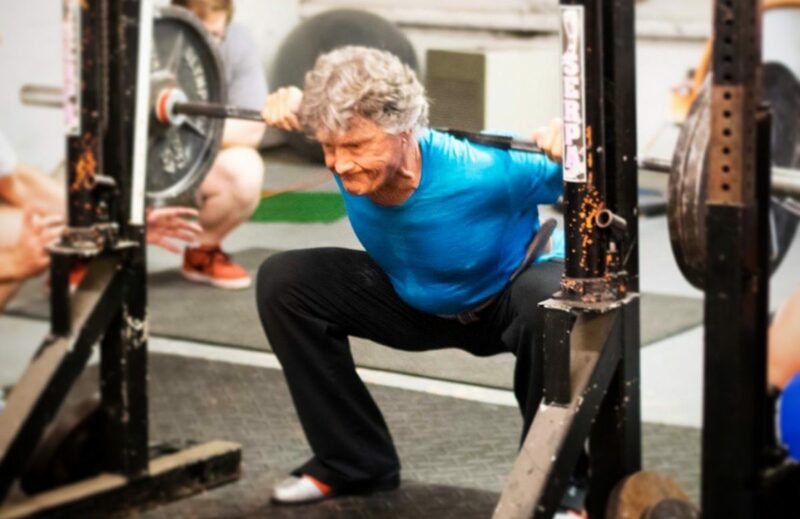 If Rob can squat 100 pounds – the barbell squat being the best measure and developer of lower body strength – then each stride represents .1/100 of Rob’s absolute strength. In the span of six to eight weeks, Rob can increase his squat to 200 pounds and now has doubled his strength level. Each stride of that same 26.2 miles now only requires half the effort as before – .1/200 or .05/100 – so Rob can run for longer at the same pace without the same level of fatigue. Or, given the same distance, Rob can maintain a faster pace by applying a little more force to each stride. The logic makes sense, and the above example holds true in clinical settings as well. Numerous studies show immediate benefits to running performance after a brief but demanding strength training program. Race times saw a reduction even in the case of seasoned athletes. The immediate benefits are appealing, but the greatest benefit of strength training for runners is the injury-proofing that comes from a stronger body. Take James Lawrence as a case study. Last summer, Lawrence, known as “The Iron Cowboy,” completed 50 Ironman triathlons in 50 straight days in 50 different states. That’s a 2.4-mile swim followed by a 112-mile bike ride finished off with a full marathon. As a feat of endurance, no other endeavor has come close – it is simply unmatched. To accomplish this grueling task, Lawrence trained hard on the bike, in the water, on the road, and in the gym. To harden his body and make it injury-proof, he practiced big barbell exercises like squats, presses, deadlifts, and cleans. With hours of each day devoted to running, biking, and swimming, Lawrence needed to use an efficient and effective strength protocol. Machines, dumbbells, and other ancillary equipment were cast aside for a select few barbell exercises that allowed him to make the most of his limited time in the gym. Considering he came through that fifty-day trial relatively unscathed, he trained wisely. 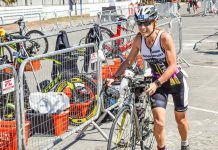 The overwhelming majority of endurance athletes will suffer from a serious enough injury to sideline them for a while. Whether it’s runner’s knee, an Achilles tendon issue, a hamstring strain, low back pain, etc. – time spent off is time that could’ve been spent improving your performance. To injury-proof your body, especially your legs, follow James Lawrence’s example. While you’re not trying to finish an entire marathon every day for a month, a serious but simple strength program will pay enormous dividends for every athlete. Be proactive about injuries by spending two or three sessions per week developing your physical strength. Only the heavy, full range-of-motion barbell exercises can create the structural changes in the body that will prevent running injuries. Bones will grow denser, tendons and ligaments will become stronger, muscles will more fully develop – because of these changes, you’ll have a longer, more productive, and more enjoyable athletic career. The program we use is simple: with only five basic barbell exercises performed two to three times per week, you’ll dramatically improve your physical strength in as little as ten weeks. With the infamous Chicago winter approaching, you’ll have an opportunity to spend a little less time outdoors and more time in the gym building your body for the next race or event. With your newly acquired strength, you’ll see performance benefits and be able to keep pushing your limits for years to come.